HOUSE leaders yesterday asked the Departments of Foreign Affairs (DFA) and Labor and Employment (DoLE) to verify reports that Filipino household service workers (HSWS) are reportedly displayed and offered as ‘commodities at discounted prices’ at malls in Singapore. 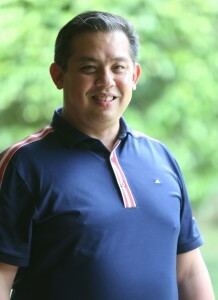 While expressing disbelief that such scenario would happen in Singapore, House independent bloc leader and Leyte Rep. Martin Romualdez, Speaker Feliciano “Sonny” Belmonte Jr., and Gabriela party-list Rep. Luzviminda “Luz” Ilagan said the concerned government departments should ensure that such supposed exploitation is not affecting overseas Filipino workers (OFWs). “Our concerned government officials should ensure that OFWs are protected from any form of exploitation. While such thing is unlikely in a highly-urbanized sovereign countries like Singapore, we should still verify the report,” said Romualdez, a lawyer and president of the Philippine Constitution Association (Philconsa). Cagayan de Oro City Rep. Rufus Rodriguez, who chairs the House of Representatives ad hoc committee on the Bangsamoro Basic Law (BBL), asked the appropriate House committee to probe reports of exploitation against some Filipinos working as HSWs in Singapore. Belmonte said proper verification would help settle everything so as not to jeopardize the interest of OFWs in Singapore. “It is highly unlikely in a country like Singapore, but the DFA should immediately inquire into it and the DOLE as well, but without fanfare,” said Belmonte. For her part, Ilagan agreed with Romualdez and Belmonte that concerned government officials should look into the alleged exploitation of OFWs. “This is definitely exploitation and oppression. Our government agencies should act at once instead of waiting for a probe,” Ilagan stressed. Rodriguez, a former immigration commissioner, called the alleged abuse a big insult to Filipinos lamenting that some OFWs allowed themselves to be exploited in exchange for money to eke out a living. “The Filipinos in Singapore work all sorts of jobs from those working as professionals to those working as household service workers (HSWs),” said Rodriguez. Based on the data from Philippine Overseas Employment Administration (POEA), at least 172,000 Filipinos are working in Singapore.